Last Sketchwalk of the Year! I attended the last sketchwalk of the year with a tired body but high in spirit as I was not going to miss the sketchwalk again. I did not sleep at all the night before after arriving in Singapore from Hong Kong at around 11pm on Friday. By the time I reached home, it was 12am and I was tossing on the bed since. However, I made up my mind I had to attend the last sketchwalk of this year even if I were to turn up late! I did one quick line sketch on the Moleskine before the loose watercolour piece. Look at the photo, where were the people and traffic? 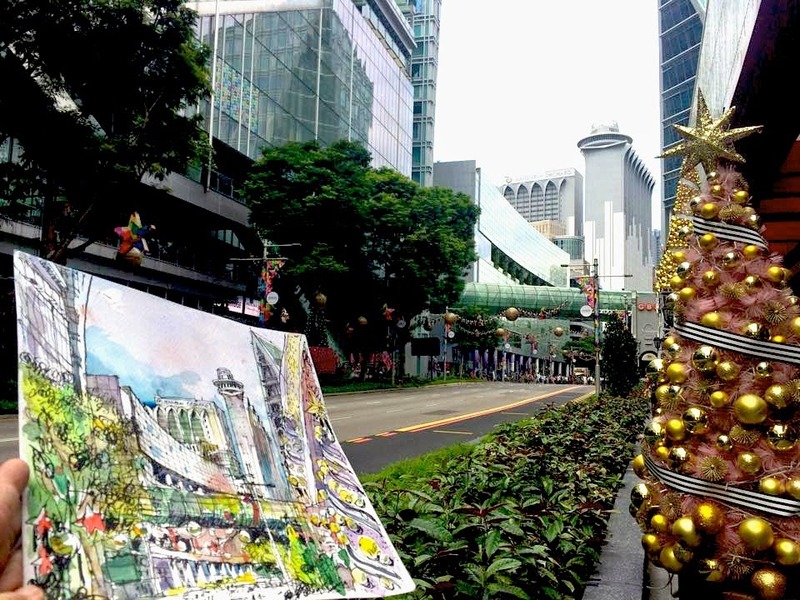 Orchard Road was too quiet during this festive seasons. May be it was still early but I thought everyone was out of town and there were visibly more tourists on the streets. It was the same in Hong Kong on Boxing Day when our taxi driver told us his business dropped during this time of the year. Orchard Road has also changed so much beyond recognition. There are so many mega malls sprouting up here and there except old granny like Mandarin Hotel with the pointed fins at the top is still there standing high and tall. So I decided to sketch it as it is the Orchard Road that I remember. 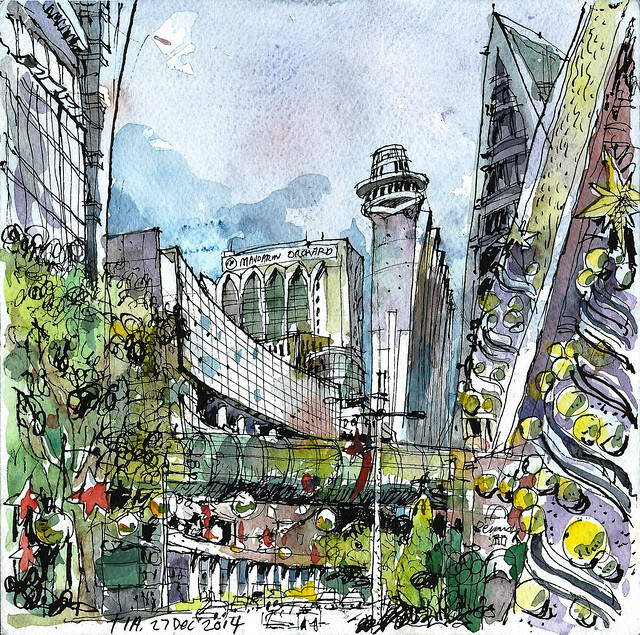 Happy Holidays and a great year ahead in 2015 to all Urban Sketchers!